We took advantage of a fairly nice Sunday to make a cross-country trip to the Lake Erie coastline. After a stop or two along the way, we enjoyed lunch at the Rose Cafe in Lorain’s Lakeview Park. The lovely converted picnic shelter house is right on the beach. Fortified with flavorful veggie burgers and hot tea, I set out to explore the snow covered beach and view the dramatic, broken ice plates that had been pushed ashore. 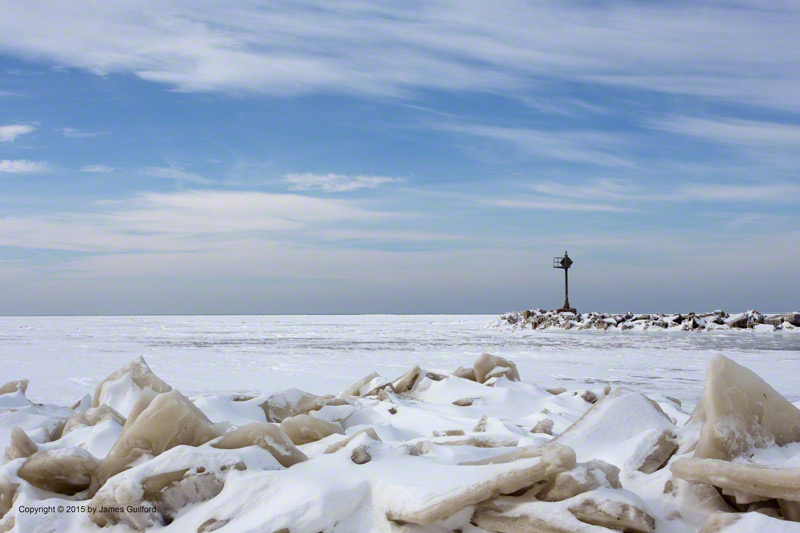 The frozen waters, framed by piles of ice and a rocky breakwall, put me in mind of a harbor.